Stop Using These Overused Short Story Titles! Clarkesworld Magazine has received 50,000 short fiction submissions. To celebrate, editor Neil Clarke posted a list of the most common short story titles, based on analyzing his submissions. 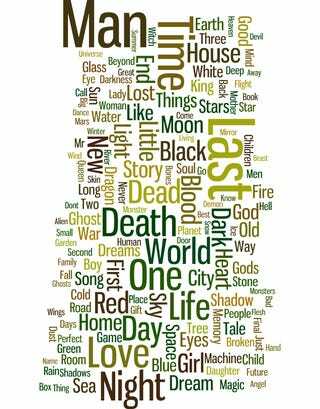 Including “Dust,” “Home,” “The Gift,” “Hunger,” and “Monsters.” And he also put all 50,000 titles into Wordle, resulting in the above cloud.